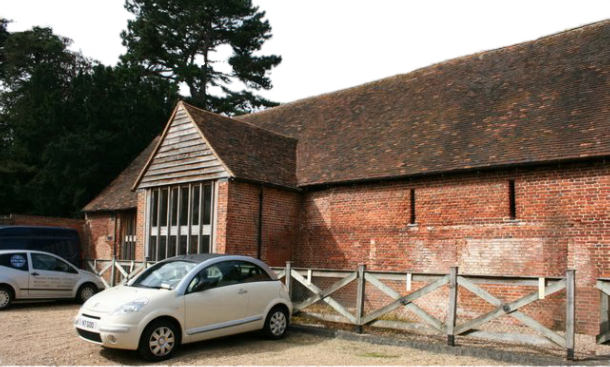 The Cross barn in Odiham, Hampshire was built in 1532 and is one of the earliest brick barns in the county (there are only fifteen examples of brick buildings in Hampshire before 1550). It was converted to a community venue in 1997. The main hall comprises most of the length and height of the original barn. It has seven bays and is 88 feet long, 27 feet wide and 27 feet high. The original porch and entrance remain on the south side. It is usually open to the public during Heritage Open Days in September.